There are many examples of people vlogging while driving and it’s a scary thing to see. Many of them look into the camera rather than keeping their eyes on the road. Distracted driving is one of the main causes of car crashes and, unfortunately, it’s on the increase. Distractions have always been there, but back in the not so distant past, there were simply fewer means of distraction. Maybe the kids would be shouting in the back of the car, or an individual was trying to eat while driving. However, these days, there is so much more to distract us due to all the new technologies that many drivers just can’t seem to put down. Each year many people lose their life because they’ve been distracted by something trivial such as reading a text message, taking a call, checking Facebook, setting their navigation system or changing their music. In fact, 26% of all vehicle crashes in the US are due to the use of a cell phone. Now, this has got worse, as vlogging and driving becomes a craze. Vlogging stands for video blogging. On its own, this is a fun thing for many people to do. However, combining this with driving is an accident waiting to happen. There are many examples of people vlogging while driving and it’s a scary thing to see. Many of them look into the camera rather than keeping their eyes on the road. How dangerous is vlogging while driving? It may seem fairly harmless, but the NSC has estimated that if you are using a phone while you are driving, you are four times more likely to have crashed. If a driver is distracted for more than two seconds, the risk of an accident is greatly increased. 8 people die every day because they were distracted while driving. Reading a text message takes a person’s eyes off the road for an average of approximately 4.6 seconds. In that time, a car traveling at 55 mph could have driven the entire length of a football field. That’s a lot to miss by glancing at your phone. That’s just glancing at a text message, not making a video. With our mobile technology becoming increasingly sophisticated, what lies in the future? Will the use of mobile devices be banned while driving? What about in-car screens? Most modern cars now have screens built in with an array of menus, navigation and entertainment options. All there ready and waiting to distract us. 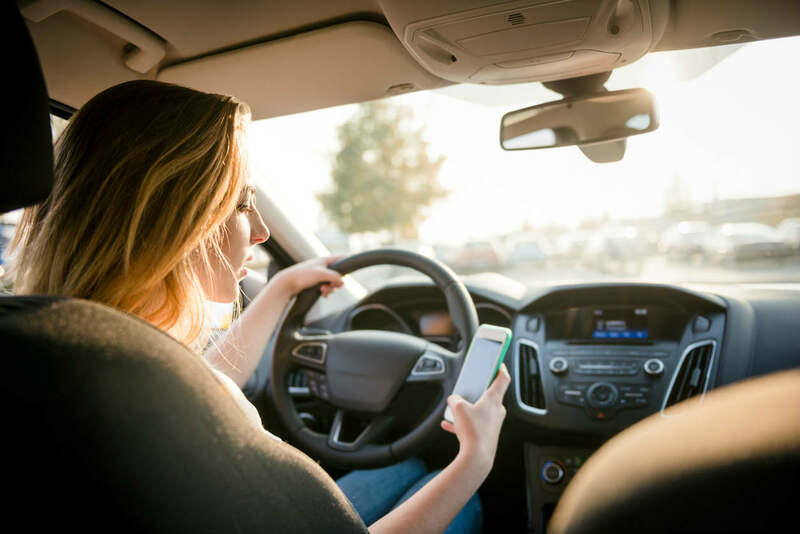 Our St Louis car accident attorneys believe accidents caused by distracted driving could possibly outweigh the lowering of accidents due to advancements in automobile safety. Reading a text message is not worth crashing your car for and potentially losing your life, or killing someone else. If you have been injured by a distracted driver, get in touch with our St. Louis auto accident attorney at The Hoffmann Law Firm, L.L.C. to pursue a claim. Call (314) 361-4242 for a FREE case evaluation.